Imagine how our culture, how our lives, will change when we begin valuing go- givers as much as we value go- getters. Social entrepreneurs are classic go- givers. They build their work on a foundation of adding value to people’s lives. At The Huffington Post we are collaborating with the Skoll Foundation to create a new model for giving in the digital era, based on our belief that media organizations have a responsibility to spotlight the work of social entrepreneurs and nonprofits so that we can accelerate scaling and replicating what is working. In 2013, we launched three projects together — Job Raising, RaiseForWomen, and the Social Entrepreneurs Challenge — that raised more than $6 million and empowered our readers to donate to specific causes, as well as to blog about the stories of the people being helped and those giving. Even in everyday business dealings, giving is becoming an increasingly valuable coin. As author and entrepreneur Seth Godin put it: The irony of “getting in return for giving” is that it doesn’t work nearly as well as merely giving. . . . Bloggers who measure the return on investment of every word, twitterers who view the platform as a self-promotional tool instead of a help- others tool, and those that won’t contribute to Wikipedia and other projects because there’s no upside . . . these folks are all missing the point. . . . It’s not that difficult to figure out who’s part of the online community for the right reasons. We can see it in your writing and in your actions. And those are the people we listen to and trust. Which, of course, paradoxically, means that these are the people we’ll choose to do business with. Since Einstein, theoretical physicists have been trying to come up with a “theory of everything” that would explain our entire physical world by reconciling general relativity with quantum physics. If there were an analogous theory of everything in the study of our emotional universe, empathy and giving would be at the center of it. Modern science has overwhelmingly confirmed the wisdom of those early philosophers and religious traditions. Empathy, compassion, and giving — which is simply empathy and compassion in action — are the molecular building blocks of our being. With them we expand and thrive; without them we wither. Oxytocin, the “love hormone,” is in a constant battle in our bodies with cortisol, the “stress hormone.” Of course, we can never completely eliminate stress from our lives. But nurturing our natural empathy is a great way to reduce it and protect ourselves from its effects. Of course, there are different kinds of empathy and compassion, and some are more beneficial to us than others. As professor of psychiatry Richard Davidson told me, “Oxytocin increases the compassion towards one’s family and the groups one identifies with, as opposed to the higher level of universal compassion.” And psychologist Paul Ekman has identified three kinds of empathy: first, there’s “cognitive empathy,” which is knowing how someone else is feeling or thinking. But simply understanding another’s position doesn’t mean we’ve internalized what they’re feeling. So there’s also “emotional empathy,” in which we actually feel what another person is feeling. This is triggered by so-called mirror neurons. Given the amount of suffering we’re so frequently exposed to, it would be too draining to live in a constant state of emotional empathy. “This can make emotional empathy seem futile,” writes Daniel Goleman, author of Emotional Intelligence. But there’s a third type, “compassionate empathy,” in which we know how a person is feeling, we can feel their feelings along with them, and we’re moved to act. Compassionate empathy is a skill we can nurture, and one that leads to action. And this is the kind of empathy we’re fueled by when we’re giving back. But even the term “giving back” can be misleading. It implies that service and volunteering are important only in terms of what they do for the recipient or the community. Just as important is what they do for the giver or volunteer, and the science on this is unambiguous. 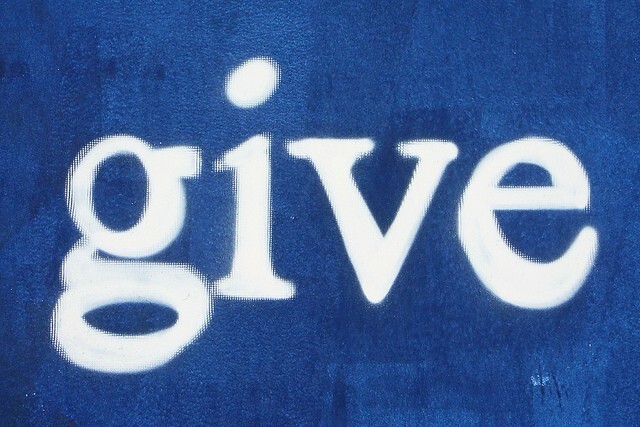 Essentially, giving is a miracle drug (with no side effects) for health and well- being. One study demonstrated that volunteering at least once a week yields improvements to well- being tantamount to your salary increasing from $20,000 to $75,000. A Harvard Business School study showed that “donating to charity has a similar relationship to subjective well- being as a doubling of household income.” This is the case in poor countries and rich countries alike. And the same study found that students who were told to spend a small amount of money on someone else were happier than students who were told to spend it on themselves. Indeed, we’re so wired to give that our genes reward us for giving — and punish us when we don’t. A study by scientists from the University of North Carolina and UCLA found that participants whose happiness was mostly hedonic (i.e., focused on self- gratification) had high levels of biological markers that promote inflammation, which is in turn linked to diabetes, cancer, and other conditions. Those whose happiness included service to others had health pro- fi les showing reduced levels of these markers. Of course, we all experience a mixture of both kinds of happiness, but our bodies’ internal systems are subtly pushing for us to augment the kind based on giving. Our bodies know what we need to do to make us healthy and happy, even if our minds don’t always hear the message. Many other studies show the positive health boost provided by giving. A 2013 study led by Dr. Suzanne Richards of the University of Exeter Medical School found that volunteering was connected to lower rates of depression, higher reports of well- being, and a significant reduction in mortality risk. And a 2005 Stanford study found that those who volunteer live longer than those who don’t.